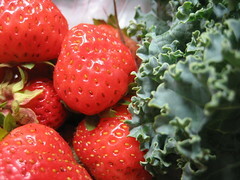 Today’s delivery featured a repeat of produce from the previous two deliveries along with a little parsley plant. We were informed, however, that this would be the last of the strawberries. 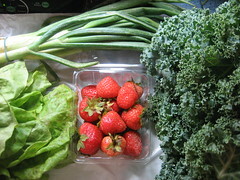 We have more kale, spring onions, and butter lettuce.